Sean P. Diddy Combs is an avid jewelry collector. He has an extensive jewelry collection that is nothing short of exemplary. It is a great feeling to know that he is familiar with TraxNYC and is customer of ours. 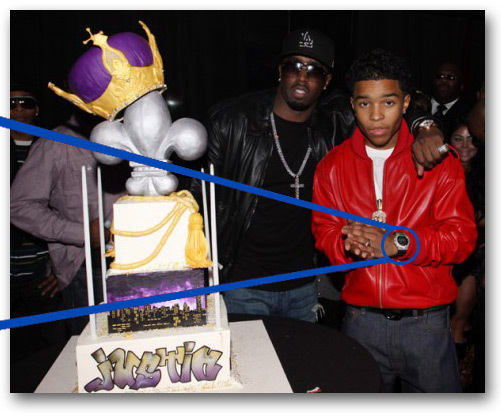 For his son Justin's 16th birthday (bottom right corner), aside from the massive 16th birthday blowout Diddy had planned, one of the items Diddy had purchased for his son was a Custom Diamond G-Shock watch. 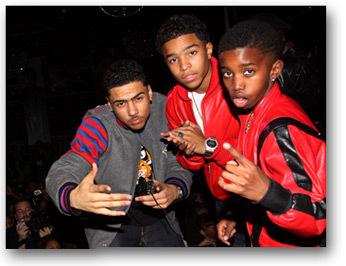 Not only did TraxNYC make that watch for Justin, but he was photographed wearing it during his huge birthday bash at M2 Lounge in New York City. 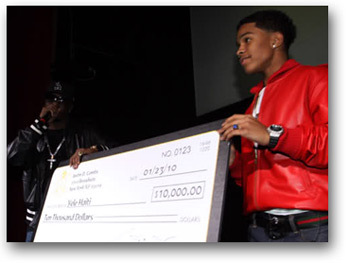 Without hesitation, Diddy picked out our Diamond G-Shock Watch for his son, Justin. Made out of 14k White Gold and fully iced with diamonds, the diamond G-Shock was produced and delivered on schedule directly to the Bad Boy headquarters just blocks away from our New York Ciy Diamond District show room. 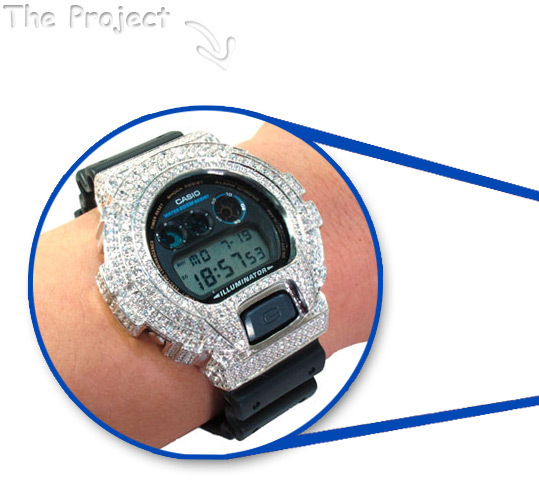 Because of the popularity of the G-Shock watch, here at TraxNYC we decided to customize them with diamonds. TraxNYC is the only jewelry manufacturer who produces these types of G-Shock watches. This particular Diamond G-Shock Watch, that was made for Justin was such a succses that we have since made similar versions in silver and cubic zirconia, 10k gold and rubies. The diamond G-Shock Watch collection on this site has a wide variety of inventory that you will certainly find impressive. 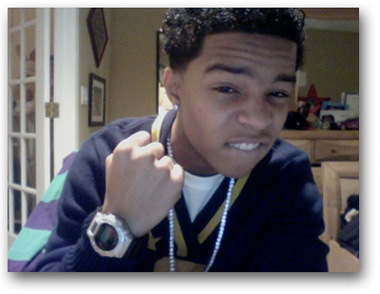 The custom diamond G-Shock TraxNYC made for Justin Combs was another great succes. It looked amazing on his wrist and most imporantly he was happy with the G-Shock watch. The main reason TraxNYC was started was to set out and exceed all of our customer’s expectations. When our customers are happy we consider it a job well done, a job that only could have been completed by the top trusted diamond jewelry manufacturer, TraxNYC.